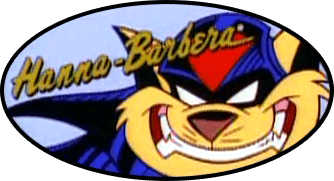 I might have thrown this idea out before (I can't remember), but I sometimes wonder about the origin story we are given for the Swat Kats. As the story goes, Chance and Jake are kicked off of the Enforcer squadron for insubordination, and are made to work in a junkyard to pay for the damages. There they use their technological brilliance to tinker around and build a jet and other cool things to fight bad guys with. It is true that in the "Wrath of Dark Kat" episode, this is what Chance recalls happened. This is more or less the official canon explanation. But their auto body shop conveniently sits over a large underground bunker with an airstrip, and they have access to all this crazy technology. It leads one to wonder if there is more to the story. What if they weren't really kicked off the force after all? What if instead they are participants in a black ops program? Here's how it could work. In spite of Chance and Jakes' insubordination, the Enforcers know they have a couple of very skilled pilots on their hands whose talent they would hate to see go to waste. The city faces innumerable threats and they still need the help. So officially they demote Chance and Jake and kick them off the force, but what they actually do is transfer and relocate the two to a secret base on the outskirts of town that *looks* like an auto body shop. There they provide the kats with a cover story (they are mechanics who run a junkyard) as well as cool toys and gadgets they can use to stop bad guys. The caveat is that the Enforcers see the two as expendable, and if something were to happen to them, they would deny any involvement. It would be a way for the Enforcers to test new equipment with relative impunity. This may have to be arranged by someone higher up than Feral. But who? How would this mesh with the original explanation given? Well, perhaps they throw them in the junkyard and *then* make the offer afterwards. It's a good theory, one that I have seen used before in various forms. Though given how the two act around the Enforcers, and are treated though the two seasons, I'd say it's not very likely it happened. Cody Furlong wrote: Though given how the two act around the Enforcers, and are treated though the two seasons, I'd say it's not very likely it happened. My theory was that they are using an old air base from mega war 2 and city officials or whoever covered it up as a salvage yard. Naaaahhh. Come on, things go missing all the time. There doesn't need to be an alternate theory to justify them having such a base to work out of; you just need to fill in the missing details with some plausible explanations. If Megawar II was as bad as ours was, it's entirely plausible that a small underground bunker, designed to go unnoticed by both the enemy and friendly forces alike, might never have been fully detailed in records, or were in records that were shredded and burned or are buried under so many layers of black inkmarked redactions that they're as good as lost anyways. At that point, the only kats who would know about the bunker would be the ones who worked in there and knew about it directly, like the Bletchley Park intelligence specialists in Britain. The Bletchley workers were under strict orders never to talk about their work; it was decades before their efforts were finally recognized and awarded by the British government. Who's to say that such a thing couldn't have happened here as well, consigning the underground facility to obsolescence? Afterwards, the Enforcers end up converting it into their "Boneyard", a place to store old airplanes for either later recommissioning, or for use as parts donors for existing airframes. And then somewhere along the line, the Boneyard just becomes one small part of it, and it gets turned into Megakat Salvage as well. If such a gag order remained in effect ala the Bletchley girls, the only folks who knew about it would eventually die off, mentions to the place would either be lost or forgotten in old files, and in an age before digital records keeping...well. Good luck finding the needle in that haystack. They say art imitates life. You don't have to jump at wild ideas, however appealing you might find them personally. The simplest answers tend to be the right ones. Mikazo wrote: This may have to be arranged by someone higher up than Feral. But who? Well, Callie is known to be the SWAT Kats' most loyal supporter, so to me she's the obvious candidate. P.S. EricoBard mentioned "the Bletchley Park intelligence specialists in Britain." Here's the Wikipedia article on their activities.